For U.S. investors hoping to get in on the action and profit directly from the IPO, the deadline to call your broker and place orders for allotted shares was 4 p.m. EST on Wednesday, Sept. 16. In a special "research alert" to his Strike Force subscribers yesterday, Money Morning's Chief Investment Strategist Keith Fitz-Gerald outlined a strategy for playing the Alibaba IPO that's designed to maximize profits and minimize (as much as possible with a wild new offering) disconcerting whipsawing. "Admittedly, grabbing onto Alibaba is going to be a lot like grabbing a tiger by the tail," Fitz-Gerald explained. "But this is a trade that's worth making. The trick will be to hang on while not getting clawed." As wild as that sounds, he believes the long payoff will more than offset any near-term discomfort. 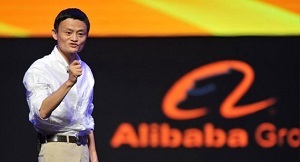 Editor's Note: Many investors are hoping to cash in on the Alibaba IPO by making the "obvious" move. But there's another way. I'm talking about a unique "backdoor" company that most people have never heard of before. Our research shows you can reap huge profits on this play right now – before BABA stock starts trading. Go here to learn more.